Home / review / review-stuff / Review: EWin Champion Series Ergonomic Computer Gaming Office Chair is a Game-Changer. Review: EWin Champion Series Ergonomic Computer Gaming Office Chair is a Game-Changer. 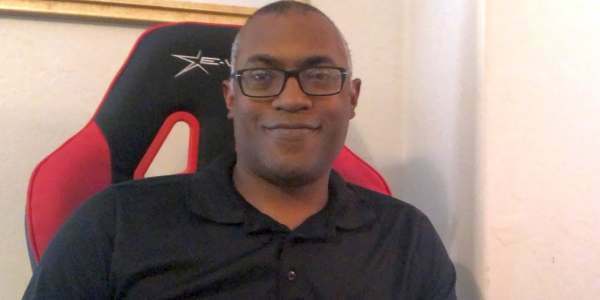 Find out if you should buy the Champion Series Ergonomic Computer Gaming Office Chair with Pillows from EWin. If you spend a lot of time playing games or watching TV you've noticed it can get hard on the back. That's why a comfortable gaming chair is essential. It's one of the things I appreciate after a long gaming session. EWin Racing sent me an office chair for an honest review and I gotta say it's a game-changer. It's insanely comfortable. 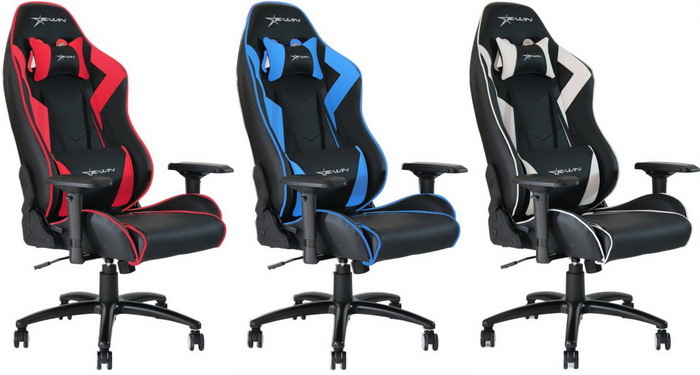 The gaming chairs come in four colors: grey, blue, orange and red. I chose red. I told my sons we were getting a new chair and they were super-excited. Every day my oldest asked me when the chair was coming. The big box arrived a little after they sent it. It took a few minutes to put together but I regularly put together office furniture so it went smoothly. The first thing you notice is the number of customizable ergonomic settings. From your standard height adjuster to the moveable back and neck pillows, it's got everything you need to get comfortable for a long Xbox session. The chair has the standard settings, but my favorite is the reclining backrest which drops from 85 degrees all the way down to all the way to 155 degrees. Perfect for a late-night movie session or binge-watching. The durable steel frame is solid but doesn't weigh the chair down and the wheels roll smoothly which makes it easy to move. If you're looking for comfortable padding you can't go wrong with the high-density memory foam. There's only one problem though. The one I got is made for skinny people. I'm pretty lean, so the ergonomic seat fits well. But if I were bigger I'm not sure it would be as comfortable. The armrests are pretty narrow too meaning someone with generous hips would find themselves squeezed out. EWin recommends the following height and weight requirements for the "Champion" and "Calling" series. The "Hero" and "Flash" series is for larger people at 5' 6" - 6' 1" (168 cm - 187 cm) and up to 400 lbs (181 kg). The "Flash Series - XL" is for those up to 6' 3" (190 cm) and a maximum of 450 lbs. Choose wisely because there you have to pay the shipping fees to return it. Considering the weight you don't want to have to pay to ship a new one. The other problem is my kids love the chair. Whenever I'm not around they jump in the chair and regularly debate whose turn it is to use it. We love it though and can't imagine what we did without it. What do you think of the chair? Do you have a favorite chair for gaming or watching TV?